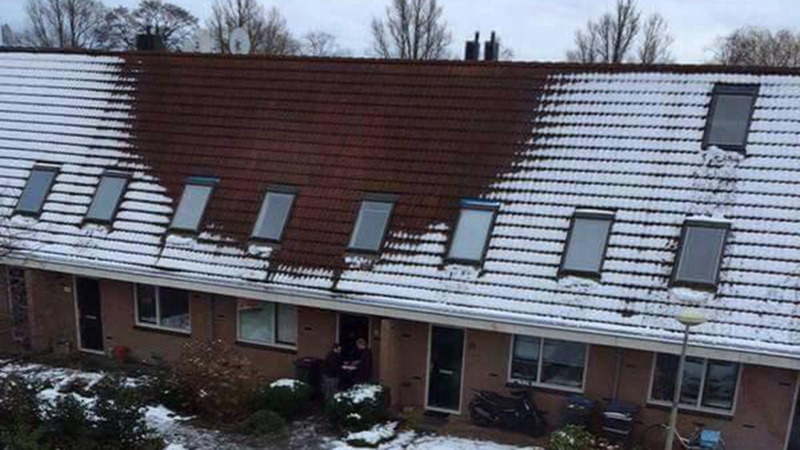 HAARLEM, Netherlands -- The snow, or lack of, helped authorities in the Netherlands make a big drug bust. They raided a house near Amsterdam and seized a crop of marijuana plants. How did they know about the contraband? The roof of the suspect's house was the only one in the neighborhood that wasn't covered in snow, the Telegraph reports. That's a sign of heat, and where there's heat, there's a good chance it's coming from a growing operation. Dutch police have been using this technique to bust other growing operations in the area. The Netherlands' doesn't mind people growing or possessing small amounts of marijuana. Large growing operations like the one in this picture are a big no-no.